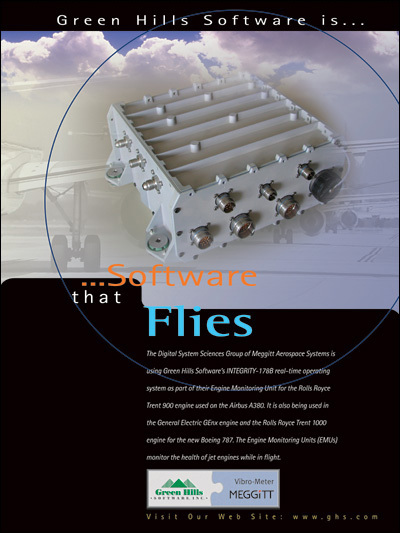 The Digital System Sciences Group of Meggitt Aerospace System is using Green Hills Software's INTEGRITY-178 real-time operating system as part of their Engine Monitoring Unit for the Rolls Royce Trent 900 engine used on the Airbus A380. It is also being used in the General Electric GEnx engine and the Rolls Royce Trent 1000 engine for the new Boeing 787. The Engine Monitoring Units(EMUs) monitor the health of jet engines while in flight.